30 Oct 2018 --- Across the ten highest consuming nations for both sugar confectionery and gum, consumption is increasing, with CAGRs ranging from 0.5 percent to 3.0 percent over the 2010-2022 forecasted period. Global sales were worth US$85.8 billion in 2017 and expected to reach around US$100 billion by 2022, according to Innova Market Insights. But beyond these three factors when buying sugar confectionery, certain health aspects may have an influence on the choice of one product over another. While sugar-free gum has been around for many years, sugar-free confectionery as a whole has yet to become such an established sector. According to Innova Market Insights data, just six percent of sugar confectionery launches in the 12 months to the end of June 2018, used a sugar-free positioning, compared with over two-thirds of gum introductions. 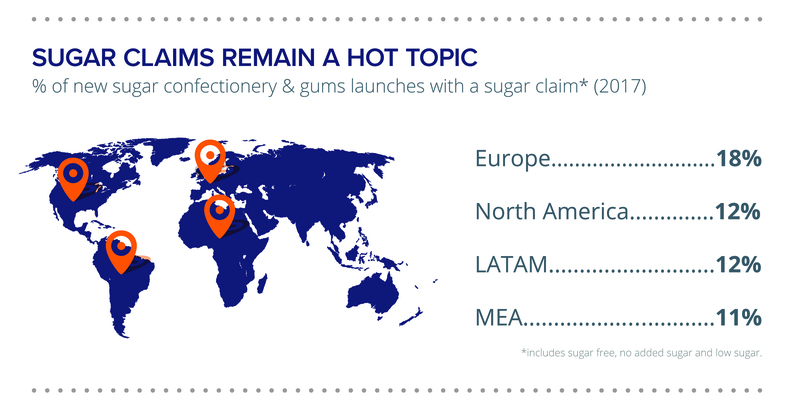 Recent new product data found that Europe led for the percentage of sugar confectionery and gums launches with a sugar claim in 2017, with 18 percent of launches in the region featuring this type of claim. Across the 19 countries surveyed by Innova Market Insights, an average 24 percent of respondents claimed to be influenced by a sugar confectionery product’s sugar content and a similar amount by whether the product is natural or not. This means that around three-quarters of respondents across the 19 countries were not influenced by sugar content, therefore there are still a minority of people who look for these products. With a greater focus on sugar intake, however, companies are making concerted efforts to reduce sugar in their products; indeed sugar reduction is perhaps a more significant trend than sugar-free as it offers more scope for manufacturers and is less impactful on the taste of the finished product. Across the ten highest consuming nations of both sugar confectionery and gum, consumption is increasing, with CAGRs ranging from 0.5 percent to 3.0 percent over the 2010-2022F period. While concerns about the unhealthiness of sugar confectionery are apparent when consumers are questioned, this does not necessarily relate to their actual consumption habits. Regionally, West Europe is the most active market for sugar confectionery and gum, accounting for 32 percent of all launches in 2017. On a country-by-country basis, the US is the single most active market, which alone accounted for 16 percent of sugar confectionery and gum launches in 2017. China is another important market, although product launch numbers are down on previous years, as the Chinese turn to chocolate confectionery instead. 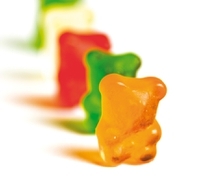 “Given the growing momentum behind reducing sugar intake, some may argue that sugar confectionery and to a lesser extent gum is on shaky ground,” notes Williams. “However, these products are enjoyed the world over and there are plenty of ways in which companies can head off any future downturn in consumption and sales,” she adds. “The use of flavor will continue to be important to achieve this, but there is also a need to switch to natural flavors following the move to natural colors,” Williams explains. “Companies can also look to use more indulgent premium flavors, targeting the adult market with more value-added premium-style offerings,” she concludes.